1. 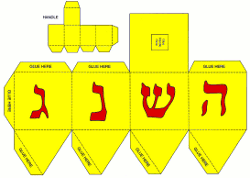 Color the dreidel as you would like. 2. Cut the pattern out. 3. Glue the folds in place. 4. Glue the top on.